It was only my second day working at Unicorn Trails when I was told to keep the “18th January weekend free for our company away day. “ I groaned inwardly, all the away days I’d previously attended had involved insincere trust-falls, useless team role-plays and stale sandwiches. 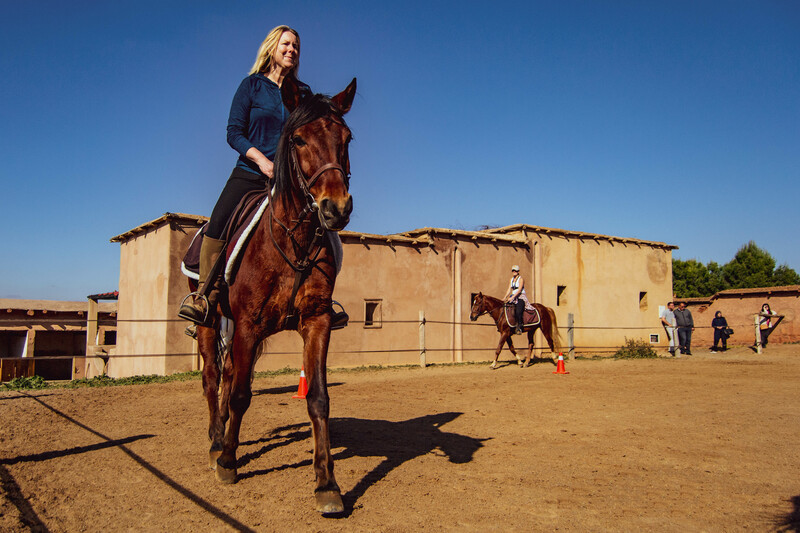 I soon learnt that things are done a little differently at Unicorn Trails and when that date rolled around I found myself boarding an early flight to Marrakech for a long weekend of sun, horse-riding, inspiring presentations and delicious meals. Outdoor seating in the sunshine. 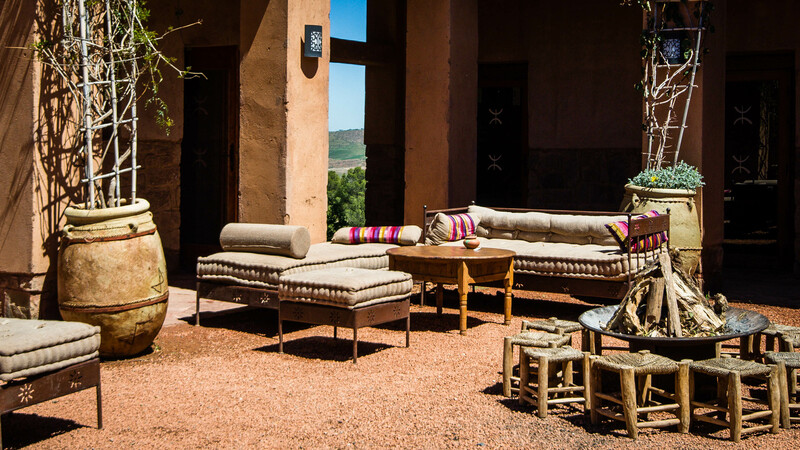 Our beautiful accommodation in Morocco. When it comes to affordable winter sun destinations Morocco is often overlooked by the more well-known Canaries. 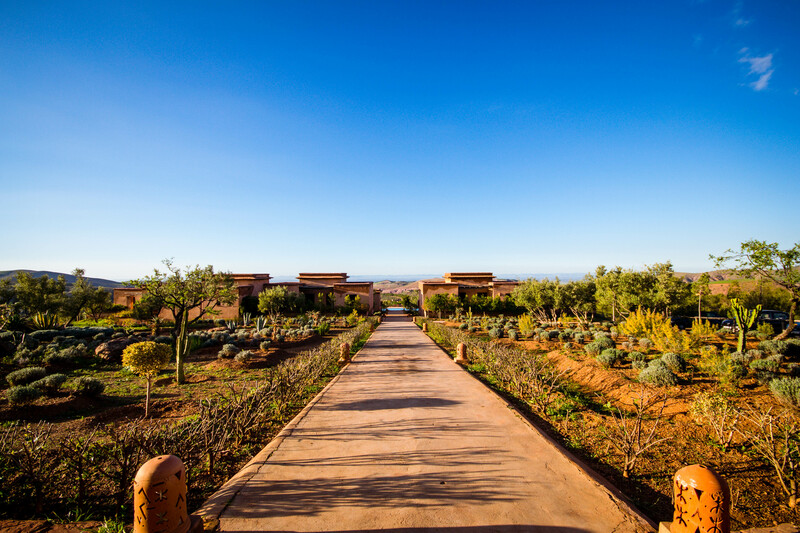 But Morocco’s capital Marrakech can be reached in just 4 hours and with flights available from several low-cost carriers, a winter sun getaway has never been easier. After a short transfer from the airport and a few refreshing glasses of sweet, mint tea we checked into our accommodation; spacious suites, airy and light with comfortable, large beds, rainforest showers and French doors leading out to a private patio garden. 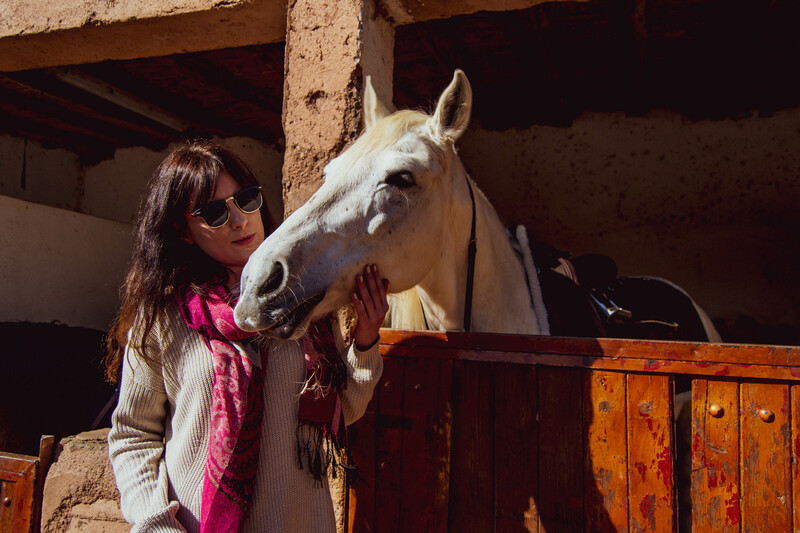 This place was so removed from what I had expected Marrakech to be like, we were high up in the Atlas mountains, a world away from the bustling souks and I immediately felt incredibly relaxed. The delicious and refreshing mint tea, expertly poured. 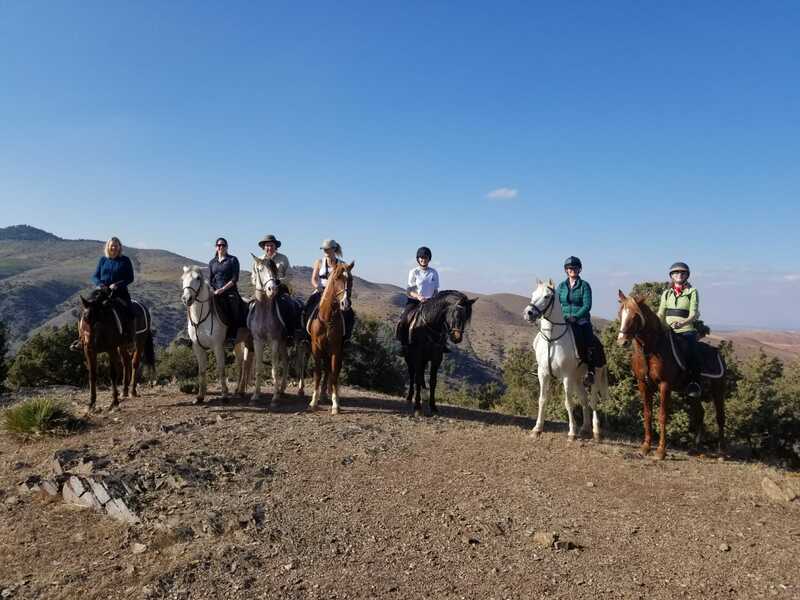 That afternoon we were introduced to our horses; energetic Arabian stallions, that made for a fun and lively ride. 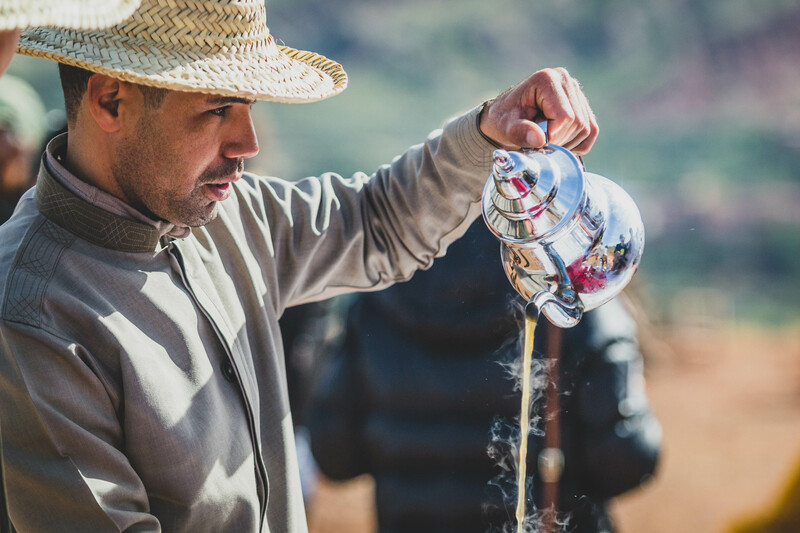 As we headed up winding, dusty, desert tracks and down into tree-lined valleys, it was easy to forget the early start in the fresh mountain air. A special mention must also go to our warm and friendly guides . who went above and beyond, even lending me sunglasses when it became apparent the sun was a little brighter than I had prepared for. After a good nights sleep and a delicious breakfast (I’m talking unlimited pancakes, eggs, cakes, fruit, juices, cheese, cold meats, toast, rolls, yogurts) the Unicorn Trails team holed up for an entire day catching up on recent trips, discussing new destinations and listening to inspiring presentations from every member of the group. 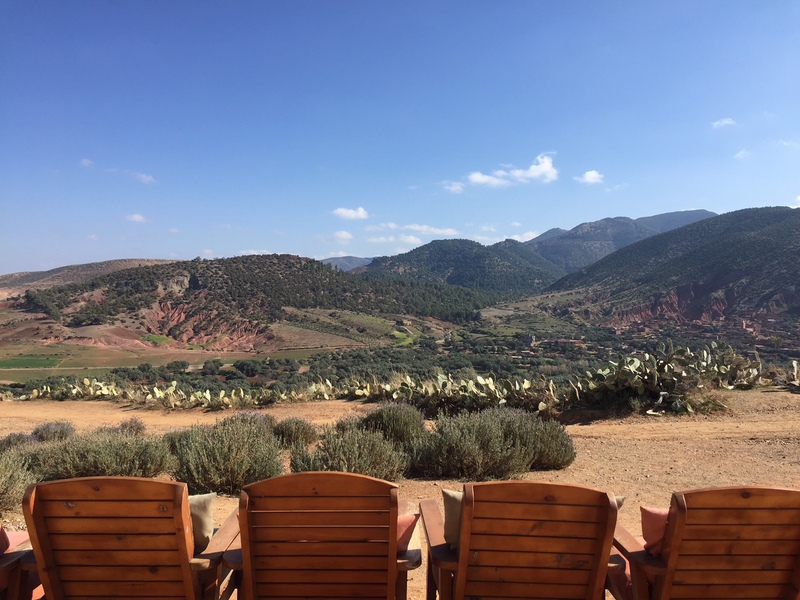 Lunch out on the sunny terrace overlooking Toubkal, North Africa’s highest peak, was just as good as breakfast with mountains of traditional Moroccan food and spectacular views. Aleks, getting to know the locals! The views at lunch complete with inviting sun loungers. I loved staying here and not only because it was my first full nights sleep in 7 months (thanks to my baby daughter) but because for a trip to Africa this has to be the most peaceful, quiet and relaxing place to stay. 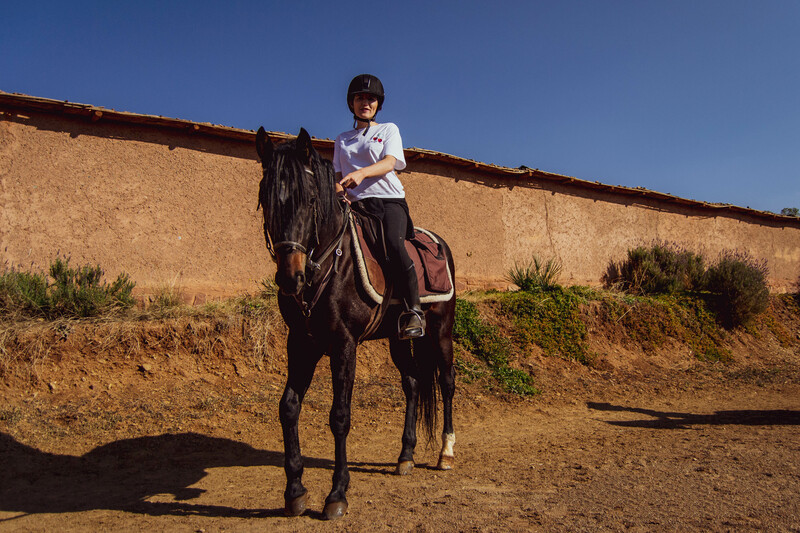 I had a perfect three days working, riding and relaxing, from a morning jaunt up into the surrounding mountains, to the wonderful cream and pastry desert we were served at our final lunch and the enthusiasm and ideas we all came away with, I can’t recommend the Marrakech Short Break enough. Click here to book. 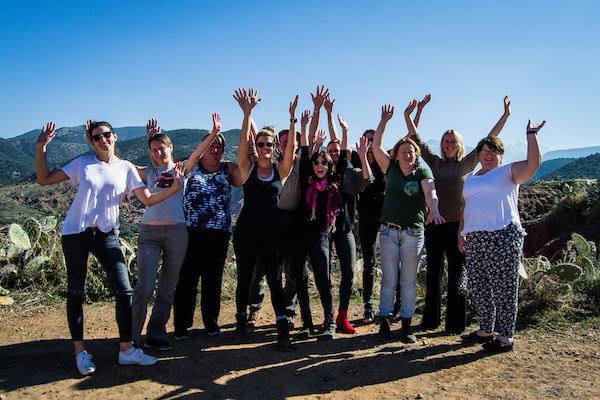 The Unicorn Trails team refreshed and relaxed with plenty of new ideas for 2019!